CORRIDOR RADIOLOGY 3D Mammography NOW AVAILABLE! 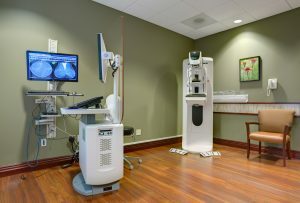 As an FDA certified 3D mammography and digital mammography center, Corridor Radiology provides patients with the full spectrum of breast services on site – both screening, diagnostic and ultrasound. Patients do not even have to leave our clinic! 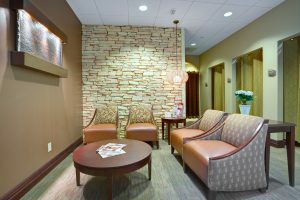 As with all our services breast exams are all performed under one roof within our comfortable facility. With digital mammography, low energy x-rays pass through the breast exactly like conventional mammograms but are recorded digitally instead of transferred to film. This electronic image can be displayed on a video monitor like a TV or printed onto film. Again, this is similar to digital cameras that produce a digital picture which can be displayed on a computer screen or printed on paper. Recent studies show that the call-back rate from screenings (needing to return for additional diagnostic imaging after a screening mammogram) was improved with digital mammography than screen-film systems. That is, fewer women needed to return for extra views with digital imaging. This is in part due to the ability of the radiologist to magnify an image and change contrast with digital systems. Since digital images are available within seconds of exposure, interventional procedures such as needle localizations requiring x-ray guidance are much faster for the patient. The time the breast is in compression is shorter, thus enhancing the patient’s mammography experience and follow-up care. You will not need a doctor’s referral for a baseline routine screening, so call today to schedule your initial exam. Routine mammograms are the best method of early breast cancer detection. If it’s been a while, please make a point this month to administer a self-exam, or call us to schedule a digital baseline mammogram. Also, please encourage your loved ones to do the same. While there is no sure way to avoid breast cancer, making healthy lifestyle choices may help lower the risk of the disease and have the added bonus of cutting the risk of heart disease, diabetes, colon cancer and osteoporosis. TO REQUEST AN APPOINTMENT CLICK HERE!!! 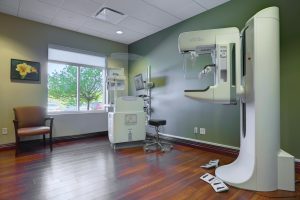 Corridor Radiology, an affiliate of Strategic Radiology, agrees with Strategic Radiology(SR) in regards to the United States Preventative Services Task Force’s(USPSTF) revised Mammography Guidelines. Women ages 35-40 get a baseline mammogram. Women ages 40+ get an annual mammogram. PLEASE CALL 319-545-7300 and ask for the mammography department if you have questions!